The victim’s brutal stabbing overshadowed Blackberry’s event which was attended by celebrities such as the cast from the The Only Way Is Essex as well Blackberry competition winners. Male stabbing during a performance by Jessie J at an event organised by Blackberry to promote BBM. The horrific incident caused guests to become hysterical and even sick at the scene. To add to the trauma, hundreds of guests were asked to stay inside the club while police investigated. There were reports of bouncers covered in blood and a surge of clubbers trying to get their coats and leave the premises as quickly as possible. The smartphone brand has yet to comment on the incident which was reportedly attended largely by teen users of the Smartphone who appeared to be unsure how to handle being gifted free alcohol. Brand association is a long established and valuable marketing tool with many major companies and brands utilising in order to increase market share and differentiate from competition. Nike using famous athletes to wear their shoes has inspired consumers and achieved billions of dollars in revenue for the company. 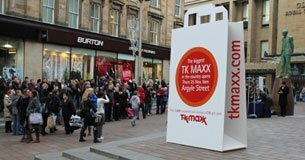 Brand Association has recently been highlighted through many brands competing to win the right to host the London Olympic Games 2012 or become the selected sponsors of the prestigious event. Renowned for elite and awe-inspiring performances, the image conjured up is easily transferred onto the identity of any brand and can captures the attentions of people around the world. Associating brands with powerful events and companies can potentially cause more harm than good, and can sometimes taint the perception of their brand. When something goes wrong, your brand is centre of attention and the recovery can be long and painful. 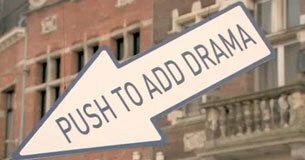 Building a reputation can take years but its destruction can take a brutal mass tweet or one misfortunate moment at a party. A brand’s image is a strong component and source of building brand equity. The overall aim of brand image is to create favorability over rivals in target audiences’ minds, thus becoming less exposed and susceptible to competitions marketing tactics. Brand associations are used to develop an awareness and gain new or continued meaningful relationships between the brand and consumer. What happened in Blackberry's case? 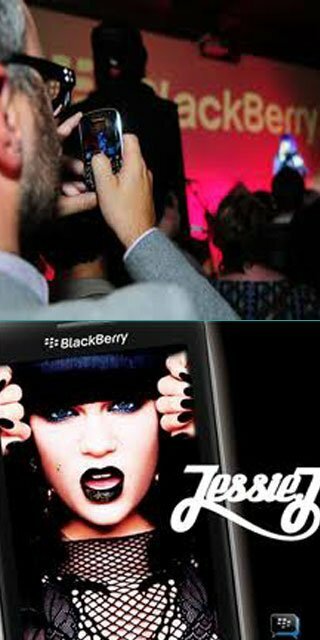 Blackberry utilised Jessie J and other celebrities who were all popular amongst their brand’s target market to increase brand recognition and recall. It would also give them an advantageous position over competition and transfer positive response-type judgments and feelings towards their brand. The event or promotion of their service was aimed at increasing recognition for Blackberry as a credible, safe and cool brand. This was reinforced by celebrity-endorsed spokesmen (Singers and Actors). By leveraging celebrity fame and popularity, brands can increase awareness, create a positive brand image and target consumers who make purchasing decisions based on this affiliation. Whatever led to the distressing incident, Blackberry will now need to recover from the new association/ reputation gained amongst the teens and parents of teenagers. Will celebrities want to be part of the blackberry brand and will this see an end to sponsorship and celebrity endorsed events for the brand?